The furniture industry is becoming vegan! SMV, the East Westphalian furniture manufacturer, produces comfortable and fashionable armchairs and sofas made of purely plant-derived materials for lounges, businesses and living areas. The nature-loving family business combines ethics and design with stylish seating furniture. In this way, it contributes to a healthy, vegan and sustainable lifestyle without customers having to forego quality and luxury. Amongst other things, cork is used as a vegan alternative to the classic animal leather cover. The soft and pleasant texture of the bark provides unique plant-based seating comfort. In addition, the vegan material is flexible, resilient, non-allergenic and flame-retardant. 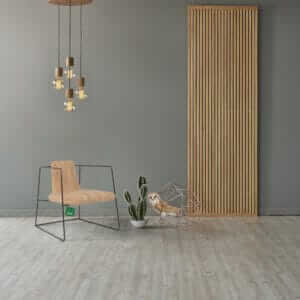 From the furniture’s core structure and foam through to its covers and adhesive, only plant-derived products are used. The manufacturer’s range consists of various lounge and reception furniture, visitor chairs and bar stools, for which matching tables and accessories are also offered. Founded in 1994, the company focuses on functional and effectively designed furniture that can also be used in public spaces.